We later painted the telescope Day-glo yellow and pink. It was nicknamed "The Psychedelic Giraffe". It had a 10.5 inch mirror. 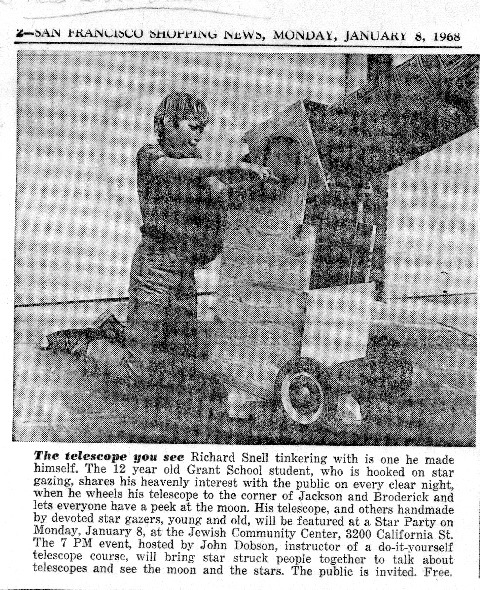 If you check the newspaper archives there should be an article or two, as the telescope got lots of attention after it was painted. The cops who patrolled that area thought it might be a cannon aimed at City Hall! The city was politically charged during that era. The other guy who helped found S.F.S.A. was Jeff Roloff, who was 17 or 18 at the time. 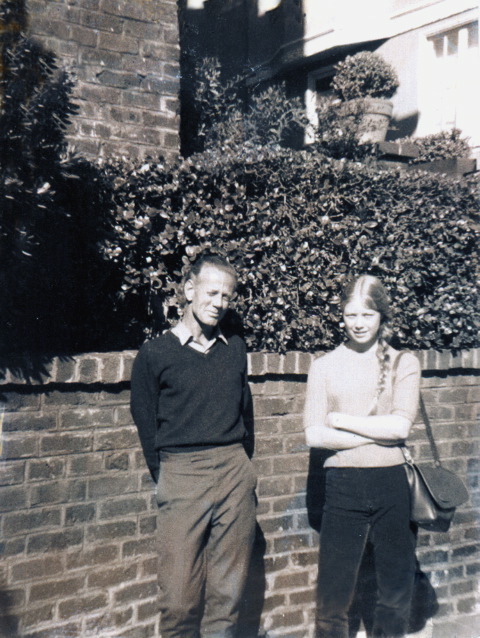 John had no money and got room and board from my mother in exchange for teaching me to grind a telescope. As a 12 year old I suffered from John's macrobiotic diet, being forced to eat Wheatgerm and molasses for breakfast. ....(still can't stand the stuff).